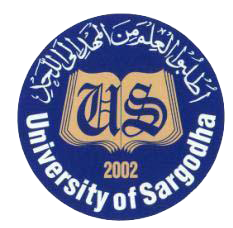 Sargodha, University of Sargodhahas already received the admission forms from the candidates, who want to appear in their UoS MA/MSc second annual exams 2018. According to the details, Sargodha University will start their UoS MA/MSc part 1 / composite annual exams 2018 will be started from 17-5-2019 and Sargodha University MA/MSc part 2 annual exams 2018 will be started from 10-6-2019. The candidates will check the date and time of their papers as their date sheet will be issued soon for the facility and information of the candidates. The students will find their UoS MA / MSc 2nd Annual Exams 2018 Starting Date and they will be ready to appear in their exams.